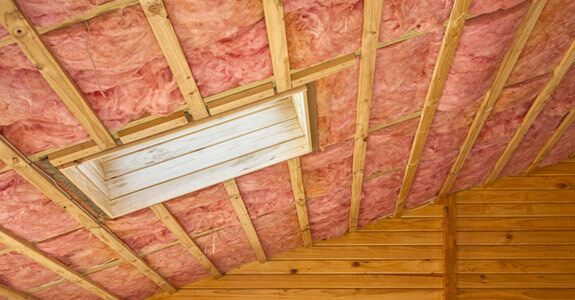 Insulation installation: As you’ll see on our Products page, we offer many different types of insulation, including spray foam, roxul, fiberglass batt, and cellulose blow-in. Southwestern Ontario has plenty of insulation installation companies for you to choose from, but we offer you the most variety, quality, and friendly service. No job is too big, too small, or too strange for us! Insulation removal: We know that our insulation is made to last, but not all insulation is built that way. If you need your home or office insulation removed, you can count on us to get the job done well, without leaving a mess or remnants behind. Because we’re a full insulation contractor, we can remove your old insulation and install new, more effective insulation ourselves. We’re happy to be your one-stop-shop for all your insulation needs. Unusual, cramped, and hard-to-reach insulation: We said before that no insulation project is too strange for us, and we meant it. We can do barns, cathedrals, crawl spaces, and more, so never hesitate to contact us! Thermal Imaging: Thermal imaging is a great tool for diagnosing home-performance problems without opening up walls and ceilings for inspection. Our trained specialists can use thermal imaging services to locate voids in your insulation, including air leaks, moisture intrusion, thermal bypasses and thermal bridges. For the best in insulation installation and insulation removal in Southwestern Ontario, call Chase Insulation at 519-768-3977.